Suitable for different production requirements we offer Troughs with a high quality finish for optimal gob loading manufactured from Cast Iron, Steel or Stainless Steel. All Troughs can be manufactured either with u-shape or v-shape inner profiles. The Cast Iron Troughs are available in the industry standard sizes and offer a very stable gob loading combined with a consistent temperature. The Steel Troughs are available in all industry standard sizes as well as any special size required by the end user. 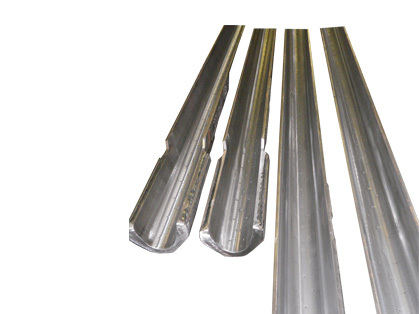 In addition, customers may choose from two thicknesses, 4 and 6 mm. 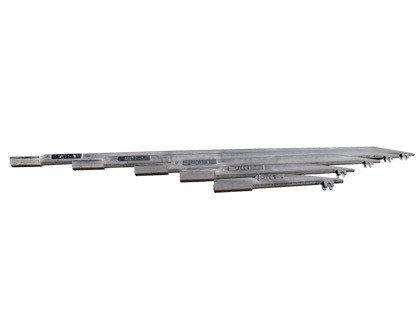 Furthermore, the Steel Troughs are not as heavy as conventional Cast Iron Troughs and therefore are more suitable for production lines with many job changes. Steel Troughs can also be prepared for connection to fan air cooling, the so called AIR RIDE TROUGHS. The air cooling has two positive effects. It allows the user to keep the trough temperatures more consistent and the air blown through the trough surface will keep the trough cleaner. Water cooled troughs available upon request. 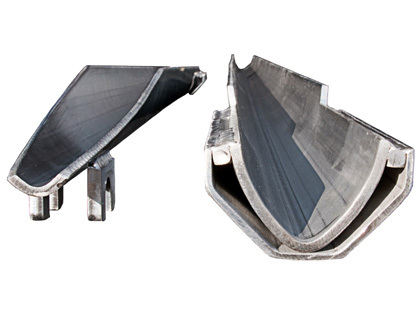 We would be very happy to advise you on which troughs may be best suited for your application.